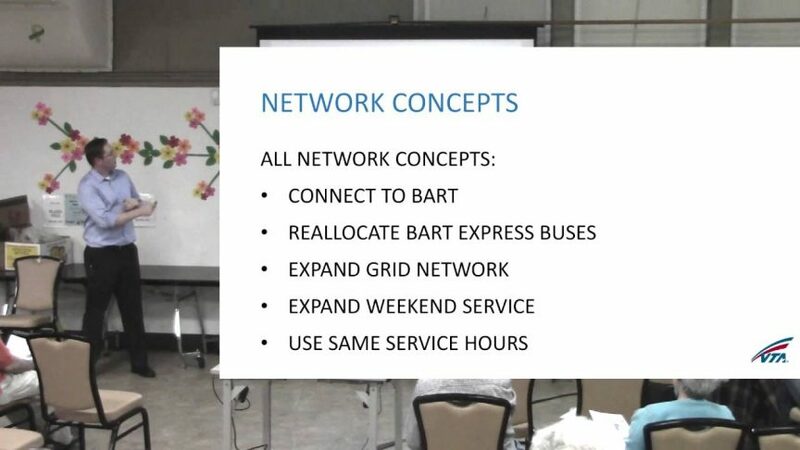 VTA’s Adam Berger discusses three different network concepts that provide different proportions of ridership/coverage. Another change is that instead of radiating from downtown, as currently, the service is more grid-like. Weekend service is expanded as well. Costs are the same in all scenarios. This grid-like service is similar to what was proposed in this article, where, in addition to a grid bus feeder network with autonomous vehicles providing last-mile, the VTA and local governments would monetize its existing land to create mixed-use transit plazas, as done by other transit agencies, including Hong Kong’s profitable MRT.